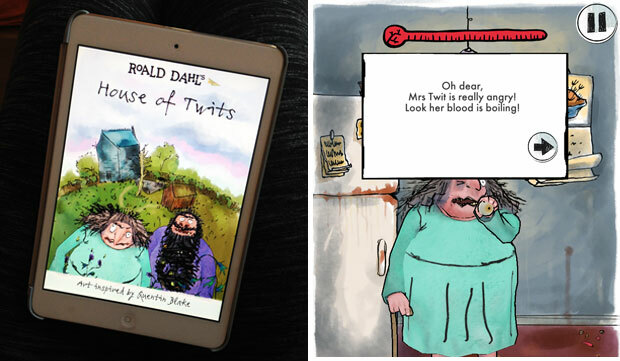 Fans of Roald Dahl and The Twits (that I reviewed recently here) will be excited to learn that there’s a brand new app called House Of Twits based on the famous Roald Dahl characters Mr and Mrs Twit. It’s the second Roald Dahl app and it has just been released, in time for half term, on the 22nd of October. The app features the iconic illustrations of Quentin Blake and for the very first time we can see the characters rendered in 3D. 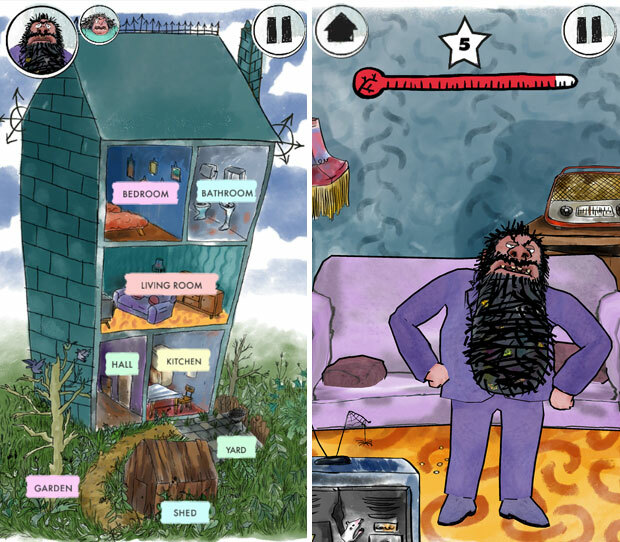 The game is set in Mr and Mrs Twit’s rather revolting house and allows the players to explore the rooms of the house, including the filthy kitchen and the ghastly bathroom. The players score points by annoying and bugging the filthy pair by poking them, tricking them, feeding them disgusting foods, pulling on Mr Twit’s beard and even pulling Mrs Twit’s glass eye out! The app is full of mischievous fun that lets you score points along the way. Many of these tricks are familiar to existing fans of the book — they are tricks that Mr and Mrs Twit often play upon each other. There are several games in each room and loads of yucky things to do. You can choose whether you want to play as Mr Twit or Mrs Twit and make sure to listen out for Mystery Parcels that contain extra tricks. It’s definitely an app that kids will love! One thing that I really like is that there are no in-app purchases — this is essential for children’s apps in my opinion — and there is no third-party advertising, which I also value highly. The app is made for children aged 6-11 and will especially appeal to the cheekier kids who love a bit of mischief and to both existing and new fans of the classic, much loved story. 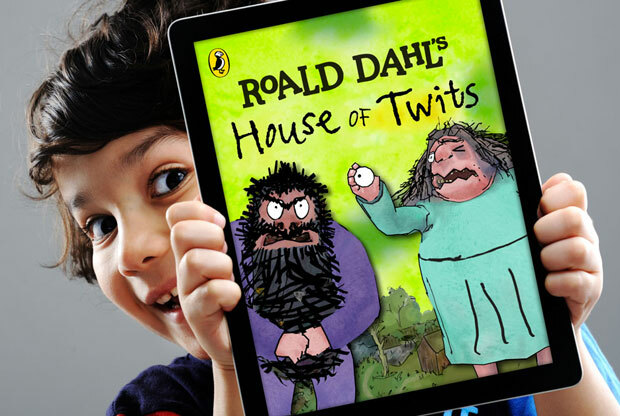 The app, developed jointly by the Roald Dahl Literary Estate and Penguin Random House UK together with interactive entertainment studio Chunk, is available to buy from the Apple Store and Google Play for £2.99. Go on, have some disgusting fun this half term! Buy the app and read more about it here. We were given the chance to try the app for free for this review. As always, all my reviews are 100% honest and all thoughts and opinions are my own.